With a poignant history of sexual abuse, infidelity, divorce, and crises of self-image, music icon and 5-time Grammy winner and 40-time Dove Award winner Sandi Patty reveals in her new book how she found her voice within the context of God’s design for her life and helps others do the same. 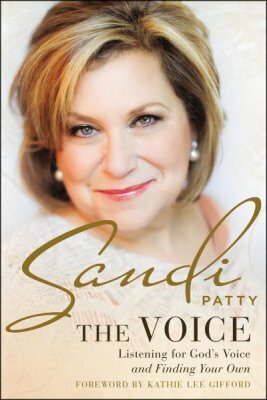 Bible Gateway interviewed Sandi Patty (@SandiPattyP) about her book, The Voice: Listening for God’s Voice and Finding Your Own (Zondervan, 2018). What do you mean when you write, “For much of my life, I felt voiceless”? Sandi Patty: I was a shy kid and words were hard for me. My family was very musical and I found great comfort in music. In fact, I would hear a song and I’d think, “Oh, that’s how I feel. Maybe if I learn these words to this song, I can finally speak up using music.” Music has been, in essence, my voice all of these years. I also struggled so much with second guessing myself with opinions or decisions and I’m the type of personality that will always want to make others and/or the situation around me conflict free. However, the cost of always doing that is silencing my voice. I spent much of my first 35 years feelings voiceless…but I’ve learned and I continue to learn that my voice has value, but that my real value comes from who I am in Christ. You write candidly about the abuse you suffered as a child, your food addiction, your divorce, and even your pride. What scriptural lessons have you learned that would help others in similar situations? Sandi Patty: There are a lot of amazing takeaways from the story of Joseph. And the story of David. They both were overlooked and suffered abuse (of a different kind) from family and those with whom they worked. Joseph was able to say at the end of a very long life, having stayed the course and followed God just one step at a time: But Joseph said to them, “Do not fear, for am I in the place of God? As for you, you meant evil against me, but God meant it for good, to bring it about that many people should be kept alive, as they are today. So do not fear; I will provide for you and your little ones.” Thus he comforted them and spoke kindly to them (Genesis 50:19-21 ESV). That is my biggest takeaway…and one can only say that from a perspective of looking back—God was able to redeem my story and use it for good to help others find their voice. How can we become the type of “safe” person God wants us to be for friends who are in personal crisis? A safe person also needs to have lived a little bit of real life as well. It’s very hard to lead and shepherd someone when you’ve never been through a tough season in your own life. I think a safe person must be 100% trustworthy, evident by keeping one’s confidence, and most importantly speaking truth in great love. A safe person usually won’t or doesn’t agree with the choices someone has made, it simply means they’re not going to withdraw their love from them. But purpose to fight for the highest good in another. You loved to sing even when you were a little girl. Describe your “break” into being a professional vocalist. Sandi Patty: I always knew I’d be involved in music in one way or another, but I always thought that would be teaching school. I had my heart set on being a music teacher. When I attended Anderson College (now University) in Indiana, I was all set to follow the music education track. I met Bill and Gloria Gaither while attending college (they were alums of the same university) and I began to travel with them on their arena tours as a back up singer. After a couple of years, they invited me to sing a solo at the end of their concerts—I sang a “new” song called We Shall Behold Him. This song and its message seemed to resonate with so many people that I began to get invitations to come sing at this church or this event. And I had to have a conversation with God and simply said (which remains my prayer to this day), “God, if you are the one opening these doors, then I want to honor you as I walk through them.” That was 40-plus years ago and I’m so thankful that I’ve been privileged to share about the life-changing message of Jesus through music. How can people discover all that God created them to be? Sandi Patty: When I figure that out, I’ll let you know. I’m joking—in a way. It’s definitely a journey. It’s a compass—not a stop watch. One of my life verses is Proverbs 3:5-6 (NKJV) — Trust in the Lord with all your heart. And lean not on your own understanding. In all your ways acknowledge Him and He will direct your path! Don’t try to figure it out in our own human understanding. Be an example of him in EVERY WAY EVERY DAY. THEN we have set our heart to be able to hear and see and know what HIS pass is for us. How have you listened for God’s voice in your life? Sandi Patty: I began to hear God’s truth through his word. Committing to an in-depth Bible study is key for me. Not only do you get God’s Word, but you get, usually, a community of other believers who become your support system. I also hear God’s voice in others around me. Especially those who have walked this life journey and are just a little ahead of me in that. How did you finally discover your voice? Sandi Patty: Honestly, it’s something I work on every day. But I’m getting more comfortable and confident with it. I will say that those around me have championed my voice out of me. They provided a safe place for my voice. But I first had to realize I was worth having a voice in the first place. I think it really began there. What is your favorite way that you’ve seen God use your voice since you discovered it? Sandi Patty: I’m in a season where I’ve now lived a bit more life than those around me. I’m not old, just rather seasoned! And I love the fact that I get to mentor the next generation behind me. And be their champion for their voice. Using my story has very much helped me be able to now be that champion for others. Here’s what I love about that verse: Jesus talks about following him and his teachings and THAT is how we’ll know the truth. Often, yes, Jesus’ word reveals his truth for us. But I also think that as we commit to be a follower of Jesus, we begin to recognize truth (many times ugly) about ourselves and our story. But as we speak the truth of our pain out-loud, we’ll find God because he is a God of truth. And where there is truth, there is FREEDOM. That’s why I love that verse! 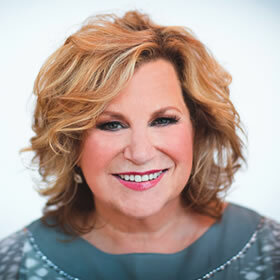 Sandi Patty: As if you can’t tell from some of my answers, I use Bible Gateway ALL THE TIME. I love that I can simply look up a verse. I also love the fact that I can see that verse and compare all the translations. Plus, I’m a big context person so I love that you can do a deeper dive and find out when it was written, why, to whom…. What was the cultural context. I love the App, as well, because everything I just mentioned is there too. I love being able to say, “You know, this is going to shape up to be a tough week. What devotional would encourage me this week?” So I can find the things I really need. Plus the Bible Gateway Store is awesome, ‘cuz I love maps of the Old Testament as well, ‘cuz the whole context thing. So I love that I can look through the online store and find just what I need. The Voice is published by HarperCollins Christian Publishing, Inc., the parent company of Bible Gateway. Bio: Sandy Patty is the most awarded female vocalist in contemporary Christian music history, with 40 Dove Awards and five Grammy Awards. She was inducted into the Gospel Music Hall of Fame in 2004 and named an Indiana Living Legend in 2007. She has released over 30 albums with over 12 million albums sold. Sandi was introduced to the world with her rendition of The Star-Spangled Banner during the rededication of the Statue of Liberty in 1986. Virtually overnight she became one of the country’s best-loved performers. 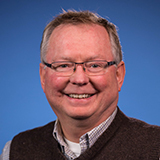 Sandi and her husband, Don, have been married for over 20 years and are a proud blended family, with eight children and three grandchildren. They currently reside in Oklahoma City, Oklahoma.